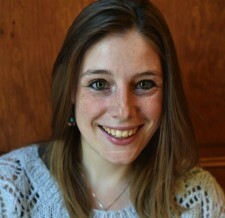 Lucy Jackson joined the TEAM in April 2014, and previously served as Associate Producer for Mission Drift at the National Theatre Shed in June 2013. Producing includes Cuddles (59E59 Theaters & Ovalhouse, NYTimes Critics’ Pick) Mudlarks (HighTide Festival, Theatre503 & Bush Theatre), Fanta Orange, Don Juan Comes Back From the War and three Vibrant new writing festivals at the Finborough Theatre and Amphibians for Offstage Theatre (Bridewell Theatre). She has produced for Misshapen Theatre, Rogues’ Gallery and Natural Shocks, at the VAULT and Latitude Festivals and at London Wonderground. Line-producing and management as part of 9 years at the Edinburgh Festival Fringe includes Party In the USA for JV Squad, Early Doors for Not Too Tame, And No More Shall We Part for Hampstead Theatre (Traverse Theatre), White Rabbit, Red Rabbit and Thom Tuck Goes Straight-to-DVD (Fosters Edinburgh Comedy Award Nominee for Best Newcomer). Lucy curated PS122’s SPAN discussion series as part of their 2015 COIL festival. She is a member of Old Vic New Voices, a recipient of the Stage One Bursary for new producers and was a Stage One Apprentice for Mark Rubinstein Ltd.